Eastern’s score increased this year from a 70 to a 73 out of a maximum 78 points. 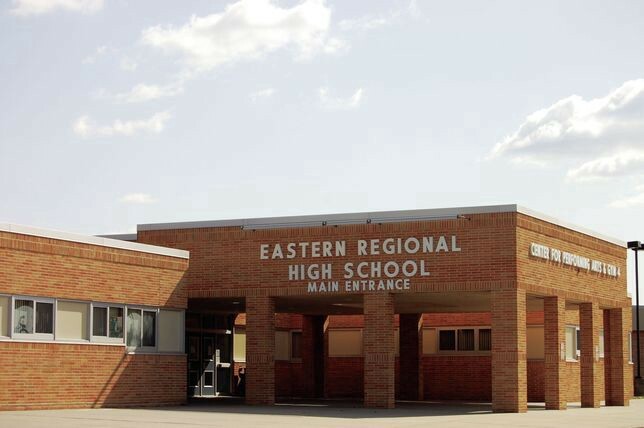 The Eastern Camden County Regional Board of Education at last week’s meeting reviewed Eastern’s most recent self-assessment for determining grades under the state’s Anti-Bullying Bill of Rights Act. Per state law, once a year each school in the state is required to review its implementation of the Anti-Bullying Bill of Rights Act from July 1 through June 30 and use a self-assessment to judge the implementation of the eight core elements of the act that address anti-bullying. Self-assessments are required to be consistent with data collected by the district and data reports submitted to state Department of Education throughout the school year. Districts must then submit the results of the self-assessment to the state and report results to members of the public. The maximum score a district can reach on the self-assessment is 78, and according to district superintendent Harold Melleby, Jr., this year Eastern scored 73, which was higher than the previous year’s score of 70. “We went from a 70 to a 73, and we’ll continue to look at the areas where we didn’t have all points and try to obtain those,” Melleby said. When broken down by category, the district was below its maximum points in some levels and reached its maximum points in other levels. For the first category of the school annually establishing Harassment, Intimidation and Bullying programs, approaches or other initiatives, the district reached a score of 13 of 15 points. For the second category of training on the BOE-approved HIB policy and procedures the district received a score of eight out of nine. For the other staff instruction and training programs category, the district received a score of 14 out of 15 points. In the fourth category of curriculum and instruction on HIB and related information and skills, the district received five out of six points. For the remaining four categories of HIB personnel, school-level HIB incident reporting procedure, HIB investigation procedure and general HIB reporting, the district scored all points possible. Once Melleby finished his presentation the review was opened to members of the public for comments, and there were none. · The board honored this year’s group of five mentor staff members who helped guide and mentor the district’s new teachers and other staff this year to help them become acclimated to working at Eastern. The board honored counselor/student assistance counselor Tara Zuk, teacher industrial arts teacher Kevin Bradley, science teacher Theresa DeCoursey, math teacher Kevin Farrow and math teacher Dianna Davis. · With several final actions on the board’s agenda at last week’s meeting, the board has completed its goal for the year to update all job descriptions for positions within the district. Melleby said the district has been working on the process since September at the start of this school year and has been providing the board with several approvals at each meeting through the year. · The next regularly scheduled meeting of the Eastern Camden County Regional Board of Education will take place on Aug. 23 at 7 p.m. as the board does not meet in July.